In aerodynamics, lift-induced drag, induced drag, vortex drag, or sometimes drag due to lift, is a drag force that occurs whenever a moving object redirects the airflow coming at it. 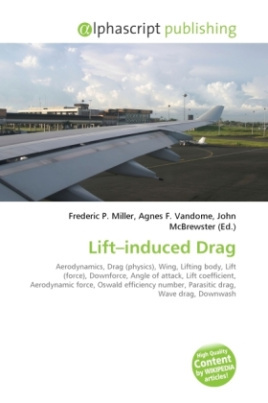 This drag force occurs in airplanes due to wings or a lifting body redirecting air to cause lift and also in cars with airfoil wings that redirect air to cause a downforce. With other parameters remaining the same, induced drag increases as the angle of attack increases.